Federal Government recruits 2,190 new tax officers – Royal Times of Nigeria. 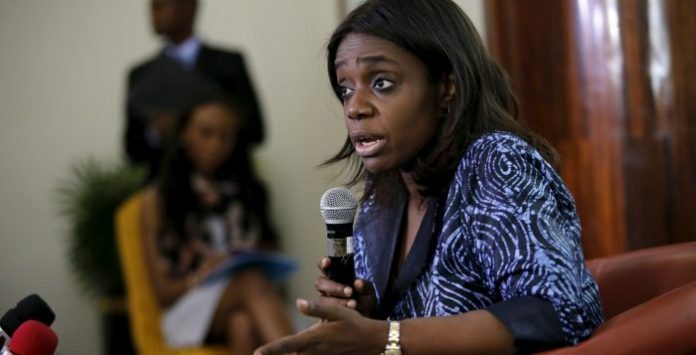 Minister of Finance, Mrs Kemi Adeosun says the Federal Government has recruited and trained 2,190 Community Tax Liaison Officers (CTLOs) under the Voluntary Assets and Income Declaration Scheme (VAIDS). Adeosun, in a statement by her Special Adviser, Media and Communications, Mr Oluyinka Akintunde, said that 1,710 CTLOs had already been deployed to 33 states, out of the number recruited and trained. She said that their task was to raise awareness about the scheme and taxation in general.She said that the CTLOs were currently operating in Adamawa, Cross River, Delta, Edo, Enugu, Kaduna, Kwara, Lagos, Nassarawa, Niger, Ogun and Oyo states among others. The minister said there was no hiding place for tax evaders residing in Nigeria or abroad, noting that the Federal Government had put in place a data mining mechanism to fish out evaders. She said, “The unique cooperation between the various arms of Federal Government, state governments and foreign governments has provided an unprecedented level of data that allows the Nigerian Government to profile taxpayers accurately. “For instance, we have reviewed all companies that received major payments from the Federal Government in the last 5 years and found that even those who made money from government, under-declared,”. Adeosun said that the tax compliance team had looked at import records and compared the value of goods imported to the tax declarations of the importers, but the discovery was worrisome as “the variance was disturbingly wide”. “On personal income taxes, we reviewed property and company ownership as well as registration of high value assets and foreign exchange allocations, which gives us a sense of the lifestyles of the persons.